Yes, I have always liked trains. I had even been through periods of fairly intense model railroading, if you could call it that. 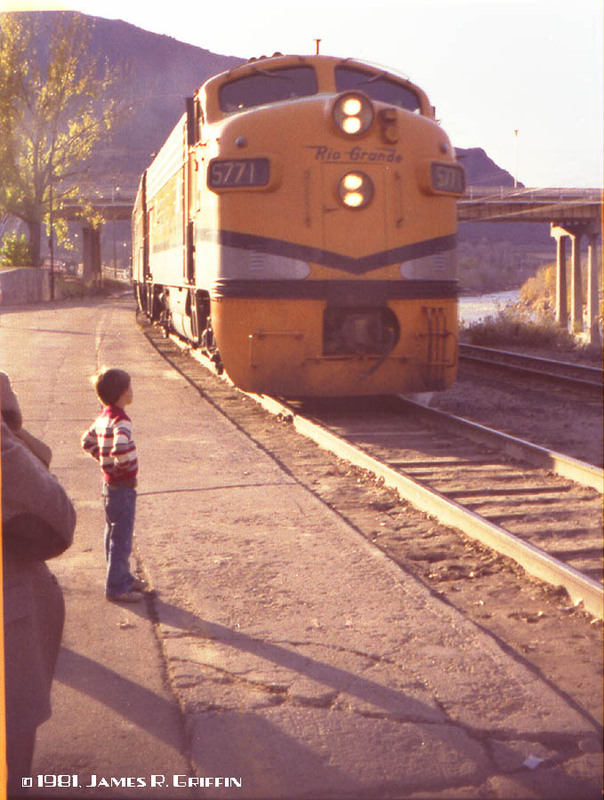 But it was a trip on the Rio Grande Zephyr that ignited my interest in railroading that continues to the present day. 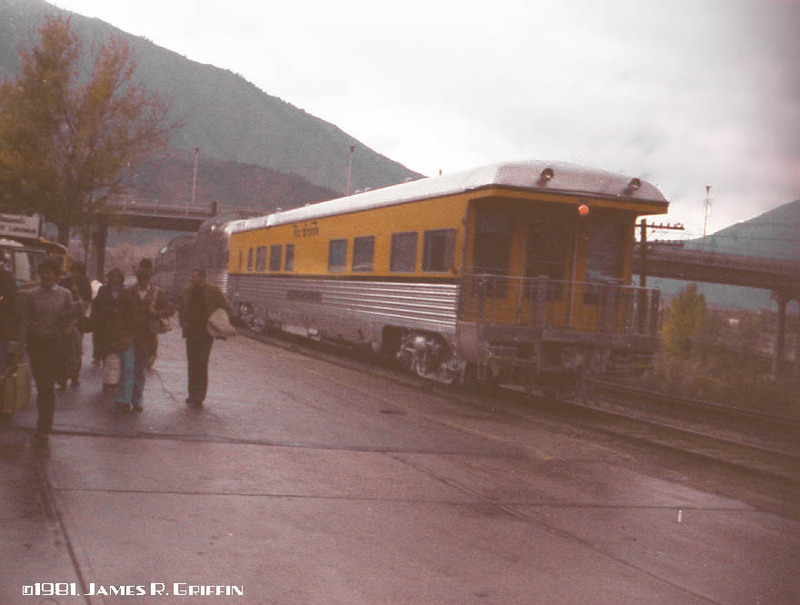 My father worked for IBM in Boulder, and someone from the company planned an excursion to Glenwood Springs aboard the Rio Grande Zephyr, at that time the last remaining non-Amtrak regularly-scheduled passenger train in the US. 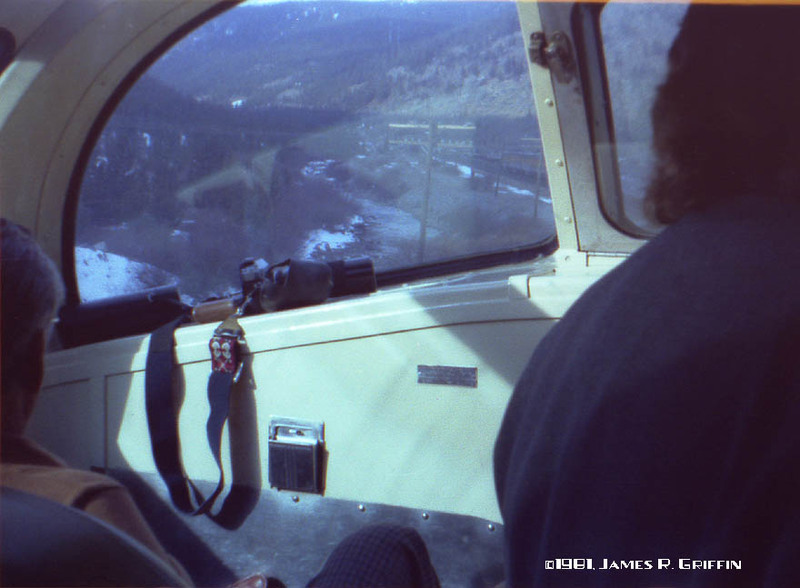 I was a junior in college at the time, and my parents invited me along for the trip. I hadn’t been on a train in fifteen years– and not on this track since first grade (1967) — so I wasn’t going to turn it down. Mind you, I wasn’t any kind of serious railfan, so I didn’t know much about the train or its history (or status, for that matter). So, on November 7th, 1981, we drove down to Denver Union Station for boarding. 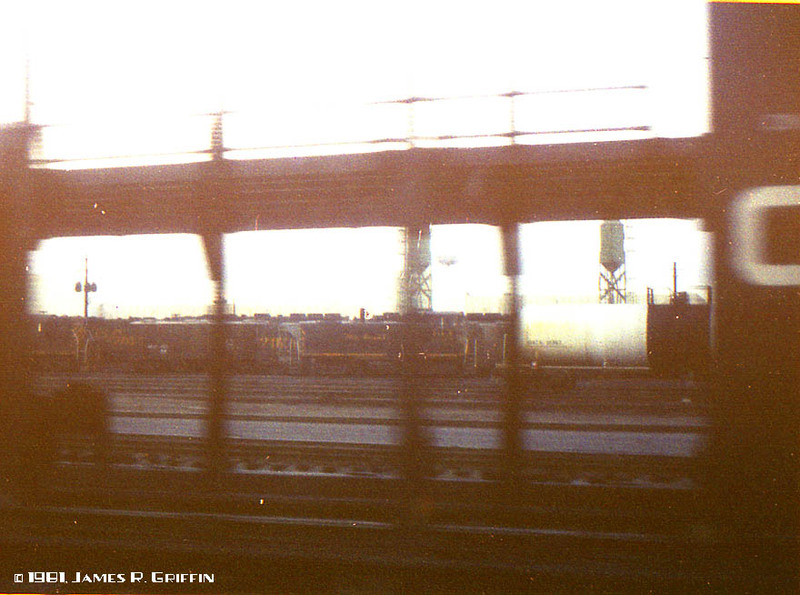 As we crossed the old 20th street viaduct, the train’s head end came into view, and my heart skipped a beat. F-units, resplendent in luminous Aspen Gold, with the matching head-end cars and stainless-steel train stretched out behind, were a striking sight at 6:45 in the morning. This was gonna be great! For our trip, the train’s consist was made up as follows: F9A No. 5771; steam generator car No. 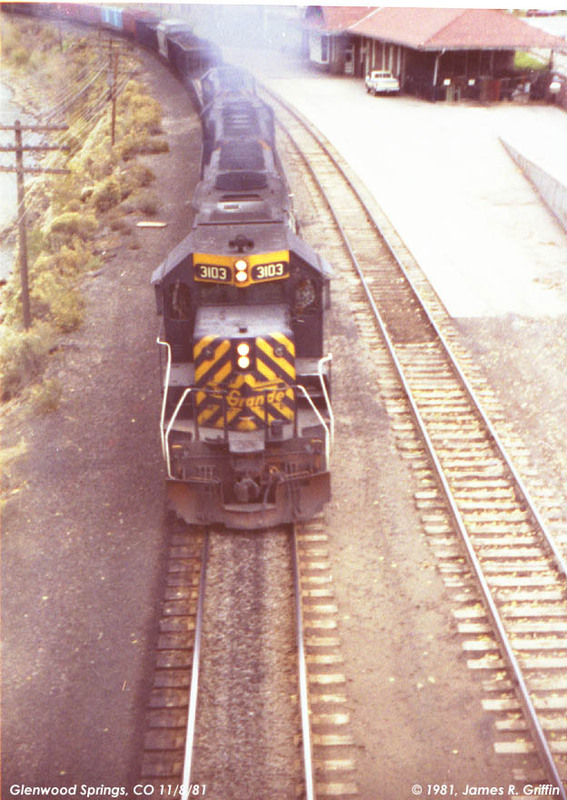 253; the two F9B units (Nos. 5762 and 5763); combine No. 1230; diner No. 1116; two dome coaches; the two flattop coaches; two more dome coaches; dome-observation car SILVER SKY; business car WILSON McCARTHY. After leaving Union Station, the train headed north through Rio Grande’s north yard. As we hummed up the main, I glimpsed a bunch of Rio Grande locomotives at the service track. 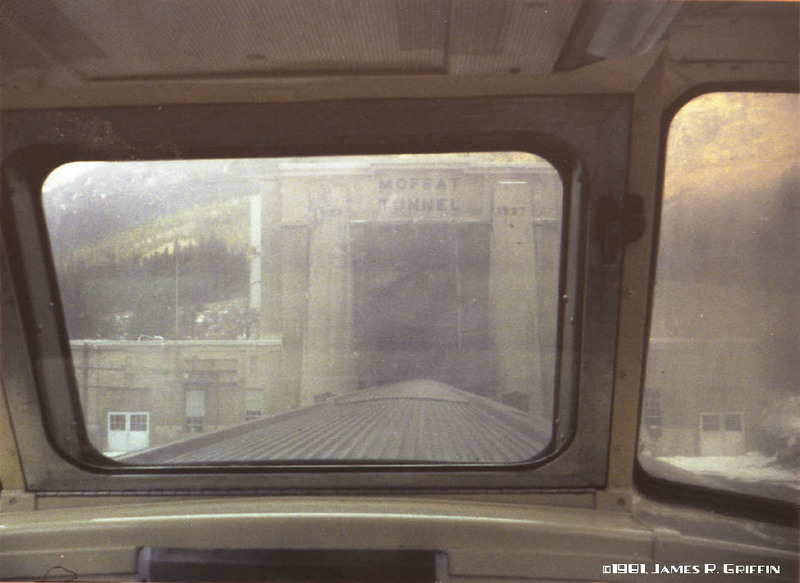 This photo is shot through a Canadian National open auto rack, part of a train that was basically blocking our view. You can see a yard switcher (SW1000, probably), a high-nose GP9, and a few other units behind them. 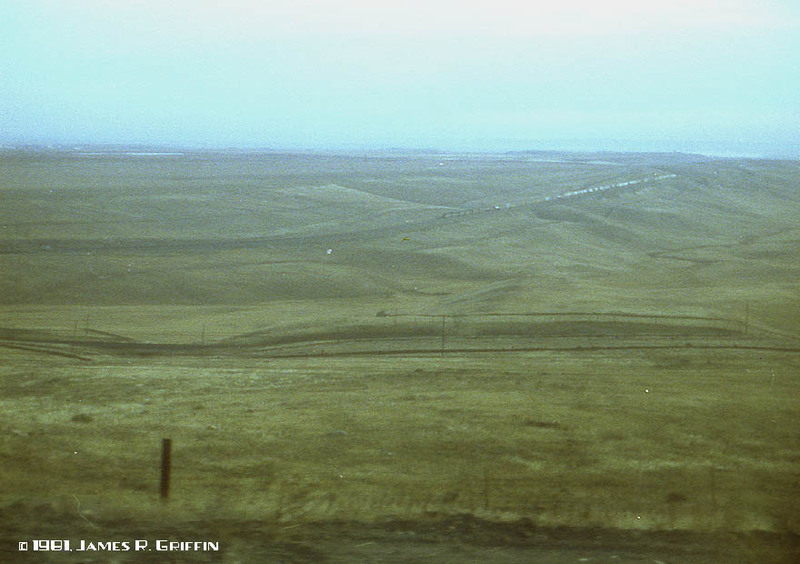 After rolling through the suburbs and across the open space west of the city, the train begins its assault on the Front Range. Here at west Rocky, we got our first really good look at the front end of the train. Rounding the curve known as Little 10, you can see F9A No. 5771, along with the steam generator and the two B-units, the combine, and the diner (No. 1116 was subbing for the usual diner, SILVER BANQUET, as I learned later). Remember, I didn’t know any of this at the time. After rounding the Little 10 and Big 10 curves (around the tongue-shaped mesa), we passed through Clay siding. From here we could look back down and see whence we came. 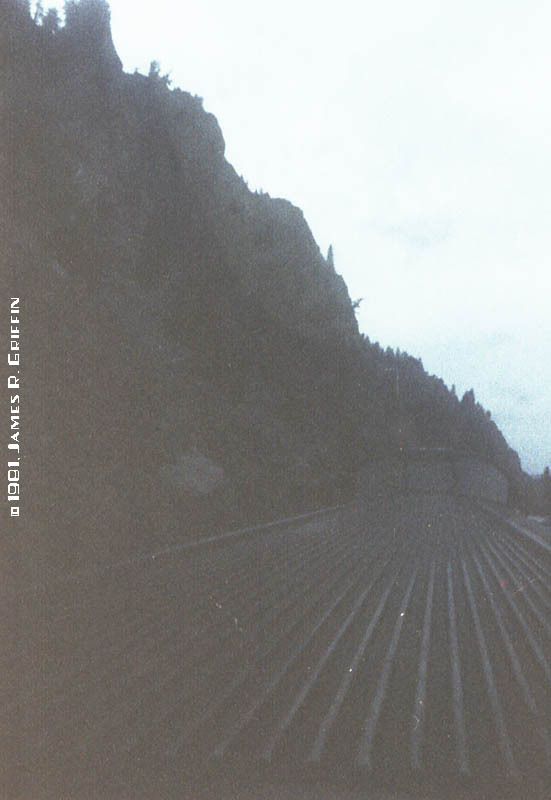 We were being followed– by a manifest freight train, hard on our blocks. He’s probably looking a yellow signal, but once we clear the west end of Clay it would go green. 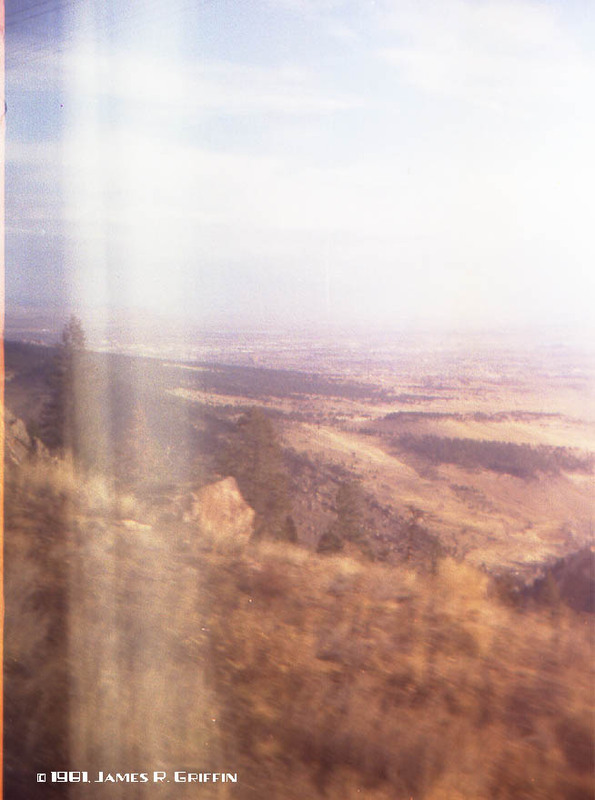 Above Plainview, right before entering tunnel 2, I took this photo in the general direction of Boulder, where I lived at the time. About two seconds later we were into the tunnel. You can see the reflections from the window, unfortunately. For those unfamiliar with the route, the tracks pass through seven tunnels while climbing across the face of the Front Range, here known as the Flatirons. Not the ones over Boulder, mind you, but part of the same formation. 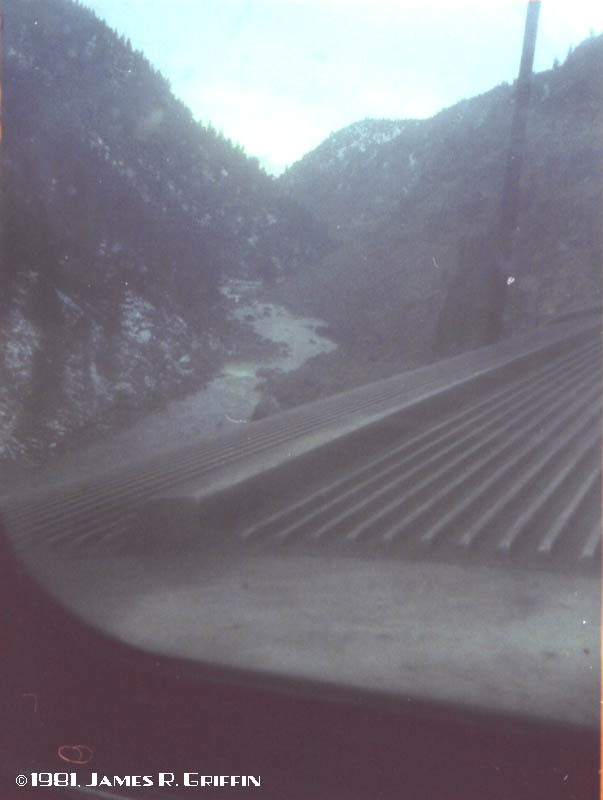 The eighth tunnel dives through the scarp and comes out overlooking South Boulder Canyon. After that, another nine tunnels bring the line up to a broad area well above the waterway. 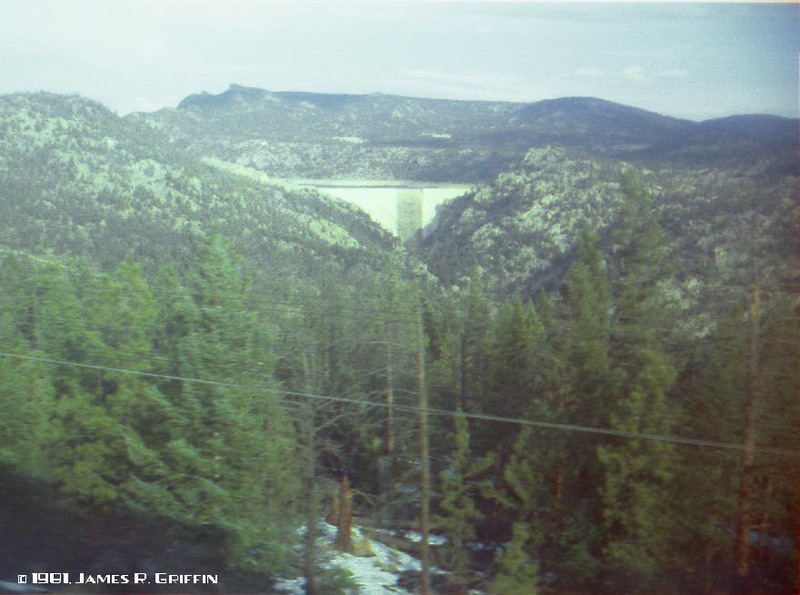 Midway through the tunnel district, rounding the sweeping curve at Crescent siding, we had a nice view of Gross Reservoir, a distinctive landmark of the route. It’s a key component of the water supply system for the city of Denver; South Boulder Creek runs into and out of it. West of Crescent is another dense sequence of tunnels, numbered 19 through 29 (minus number 28, which no longer exists), ending at the small hamlet of Pinecliffe. Ever wonder what the inside of a tunnel looks like? I did. Here’s a flash shot of a tunnel wall (somewhere around Tunnel 19). Not very inspiring, is it? 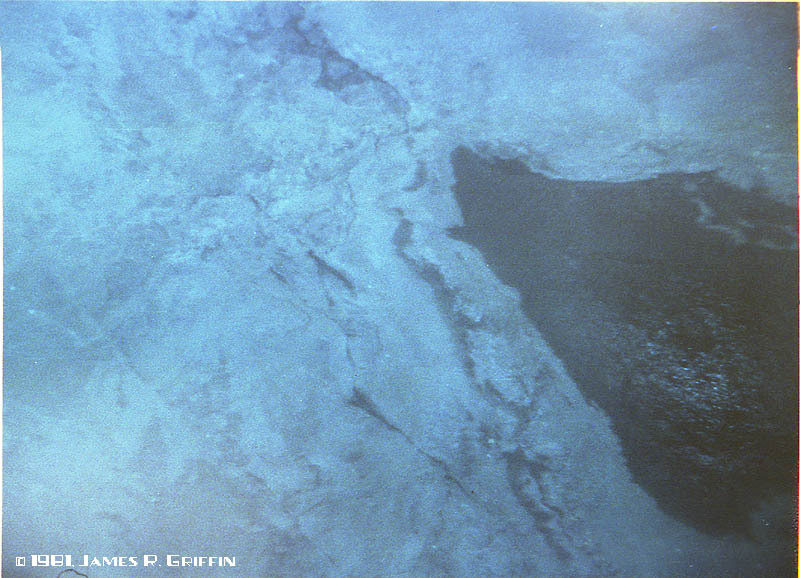 It looks to me like it was seeping a little bit of water (dark spot). 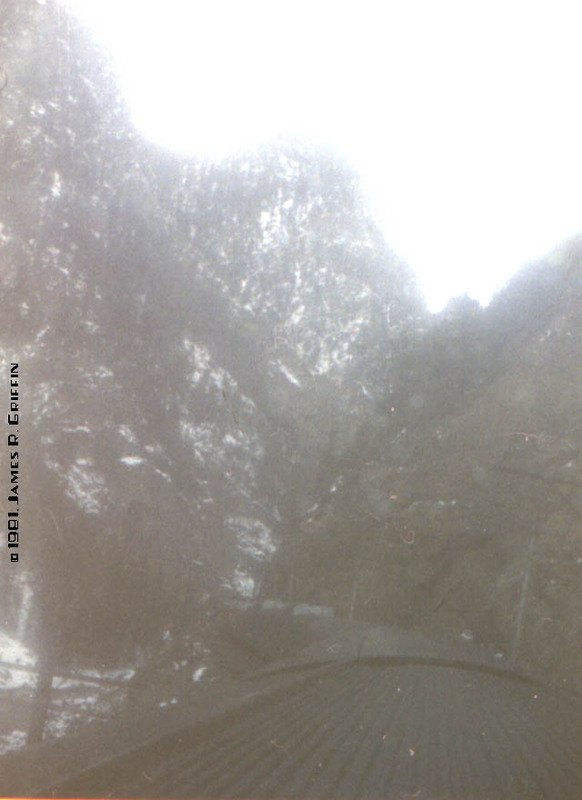 In this view, our car is coming out of tunnel 21 and is approaching tunnel 22. 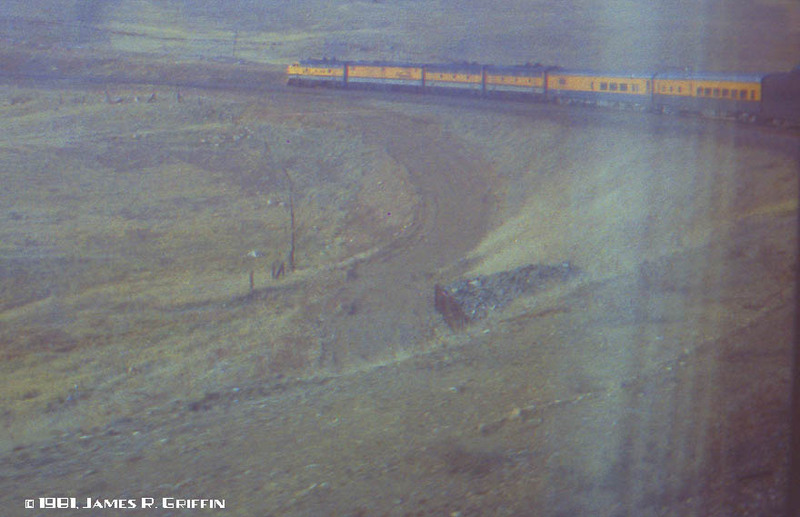 You can see two dome coaches and the substitute diner. West of Pinecliffe, I moved up into the dome. This shot looks like we’re west of Rollinsville. The gentleman standing in the aisle was our trainman, who kept up an interesting conversation with the riders in front of me. He said that he’d bid for the Zephyr every time, even though the pay was lower than on a freight train. Here we’re coming onto the final tangent of East Portal siding. 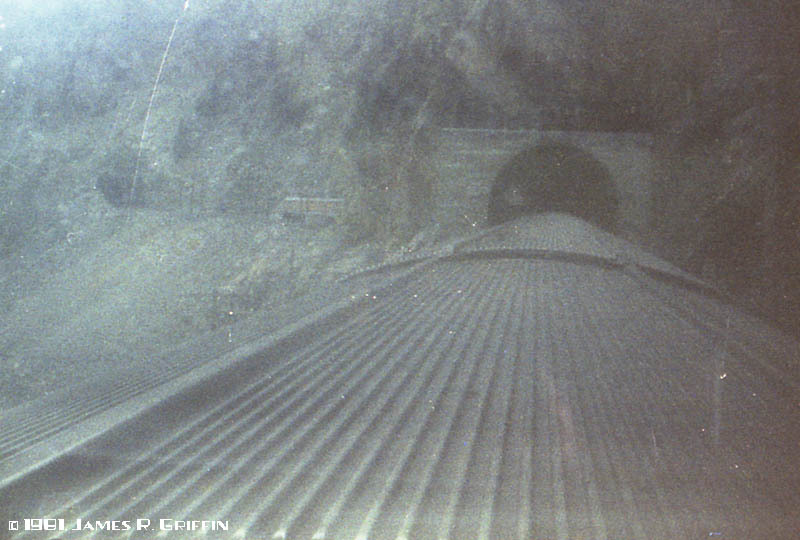 Look carefully and you can see not only the front of the train, but the east portal of the Moffat Tunnel. Sadly, this would be just about the last direct sunlight we would see on the trip. The front of the train is already inside and we are just about to head into the tunnel. There was no halt– we just flew right in. This is before the rebuilding of the fans at the portal. There were a few fall colors above the tunnel, but I didn’t even notice at the time! My mind was focused on my first trip through the bore. Uncounted childhood picnics at the tunnel were on my mind as we raced in. Once on the other side of the divide, the weather was even more gray and dismal, if that were possible. 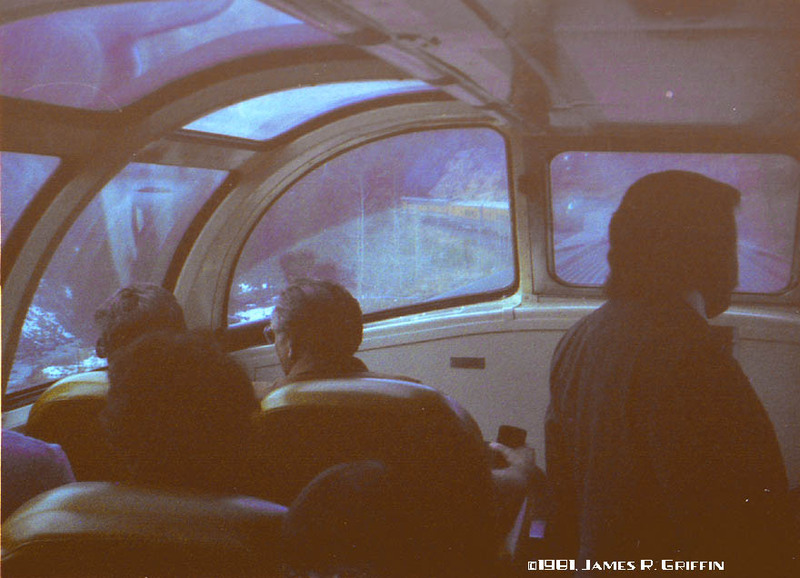 Most of my photos were underexposed as a result (Dark Day + Tinted Glass = Underexposure). There’s a moodiness that comes through, though, that accentuates the forbidding nature of the route. But it didn’t matter. Our turn came to be seated in the diner and we were happily thus ensconced as the train drifted down from Winter Park and into the Fraser valley. After passing through Middle Park, our route took us into the serious canyon country. Only one, Byers Canyon, has highway access, so the rest were new experiences for me. I took a couple of backward-looking photos at Gore Canyon. Believe it or not, the others were even worse photographs than this one! The canyon walls are high and the sky dim. The railroad seems to creep tentatively through this isolated region. You really don’t feel very safe or secure– the canyons feel wild, especially on a day like this. 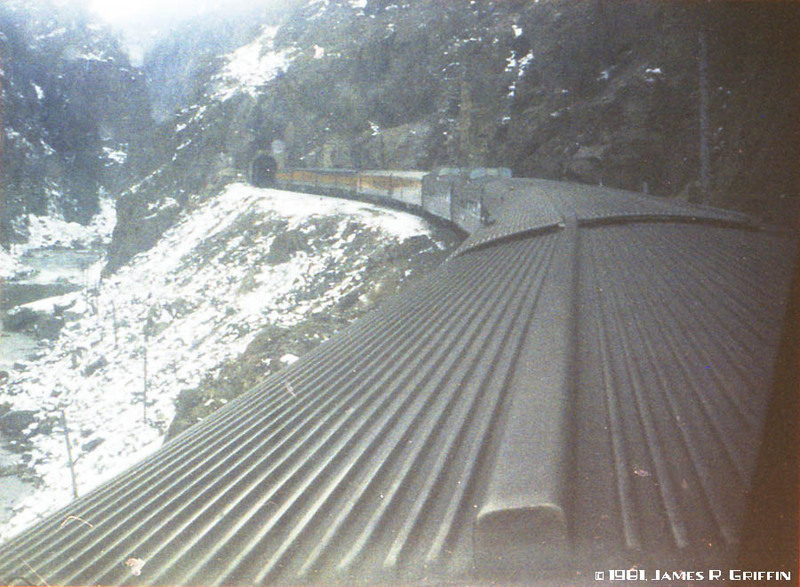 Here is one of the few decent views of the train in the canyons. Yes, those are dead leaves on the roof of our car. 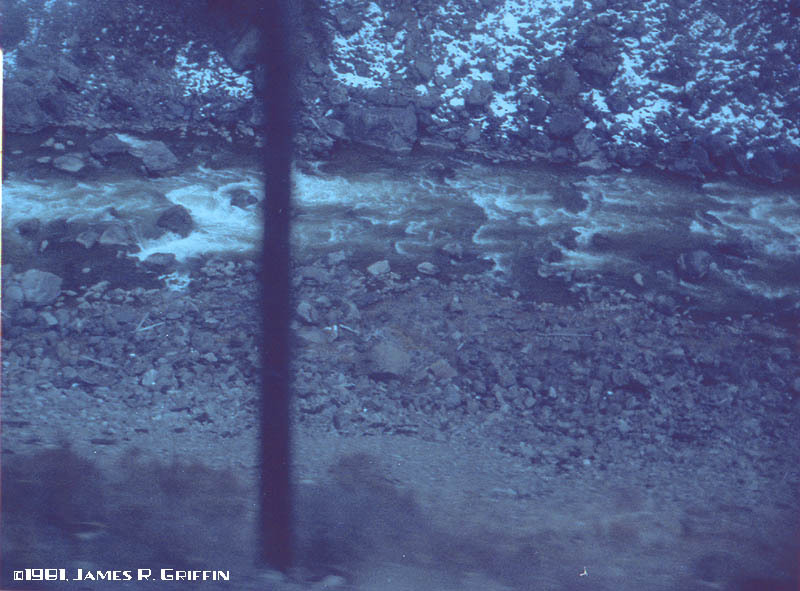 Little Gore has several short tunnels through rocky spurs, with miles of slide-detection fencing between. The Colorado River is an unremarkable mountain stream at the bottom of the defile in this region. Gore has many tunnels, most short. Here is one such example. The advantages of riding in the dome car are becoming increasingly apparent. 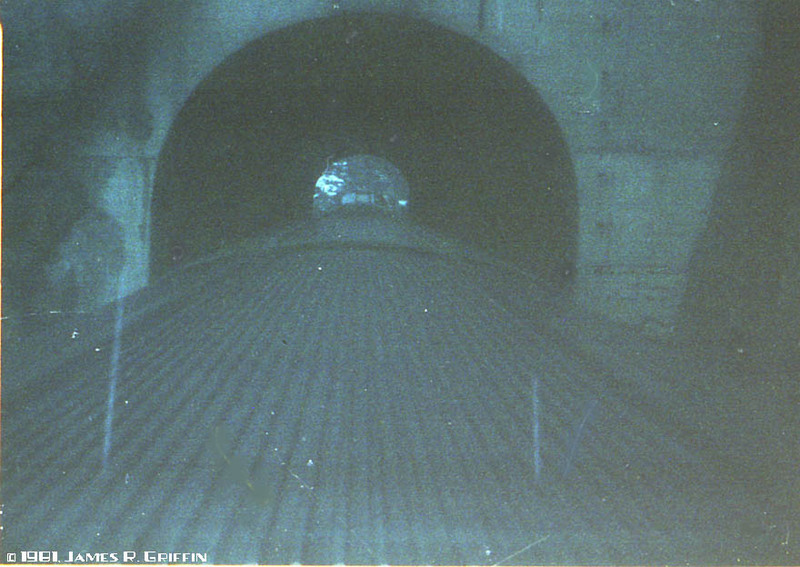 Several tunnels are visible in this photo. Unfortunately the negative has gotten rather scratched up over time. … and looking down at our companion in the canyon, the Colorado River. Much later, upon reaching Glenwood Springs, we disembarked. Here the train is pulling away to continue its journey west, with business car WILSON McCARTHY on the tail. For those familiar with the town, you can see that the pedestrian bridge has not yet been built. My parents were not particularly adventurous tourists. The IBM party was booked into a hotel across the river from the depot and we had to drag our luggage across the bridge on its terrifyingly-skinny sidewalk. Glenwood Springs in 1981 was not the upscale yuppie community that it is today, and frankly there was not a lot for a 21-year-old guy traveling with his parents to do. I drifted into the lounge for a while; some band called “Super Glyde” was playing. The lead singer chick was dressed in leopard-skin tights, and I remember thinking how absurd she looked. So much for the night life! 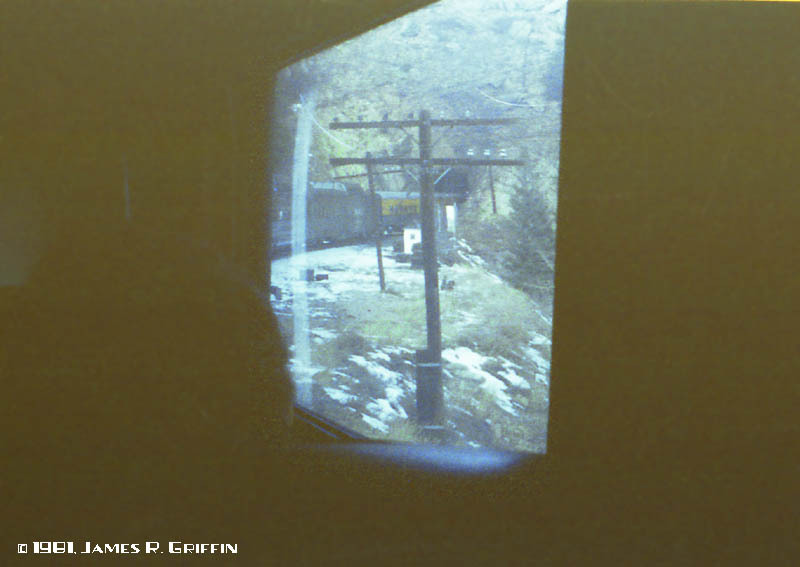 The following day, we waited at the depot for the eastbound RGZ, train No. 18 to take us back to Denver. While we waited for the train, a westbound freight rumbled by and I got a photo from the bridge. We tried to listen to the Bronco game on my dad’s transistor radio; from what I remember they were not doing well! Finally, though, our train hove into view from the west, bell ringing as it crept down the depot track to collect the Glenwood traffic (admittedly the largest contingent of riders on the whole route). Here, F9 No. 5771 leads the train into the depot siding, with bell ringing. As you can see, it’s already fairly late afternoon, and most of our return journey was in the shade, or the darkness. I do recall, though, rolling up the Dotsero Cutoff and watching how the F’s would behave to the engineer’s adjustments. Anytime he would throttle up there would be a puff of black smoke from the 5771’s twin spark-arrested stacks, followed a moment later by four more puffs from the two B unit’s stacks. I was interested to watch that short delay in the Multiple-Unit control system.